As an avid reader, and with the advent of Amazon’s KDP program, I am always on the look-out for new authors to check out. I discovered Jaden Skye’s first book in her Caribbean Murder series by accident when it showed up on my readers who purchased, also got this list one day (although for the life of me, I can’t remember the book that resulted in the recommendation). I read the first two books in the series, sometime in 2011, and then promptly forgot about it with all the other books that I had out there. Until I needed a book set in the Caribbean both for my Around the World challenge and another one that I was participating in, and then I was like, ohhh, must go back and take a look at this series. 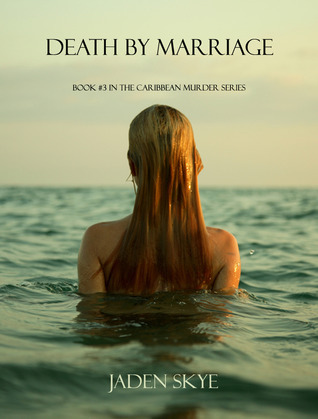 Like the previous books, it focuses on Cindy, who becomes a widow in the first book, and through a series of events, ends up being a PI in the Caribbean solving various cases. This one, set on the island of St. Thomas, is the 3rd book in the series, and takes place in a period of about 6 months since the end of the first book (if I had to guess). I liked the story in this one, but there seems to have been a decline in the editing from the first book in the series to this one, which was a bit distracted. It also seemed to take longer for me to get into it – I wasn’t immediately sucked in, like I was with the previous 2 books in the series. I also figured out the who done it prior to the final reveal, which was a bit disappointing. Either way, I have the next book in the series in the pile and am interested to see what happens to Cindy in the future.